I was just about to call it a day and hit the sack, when a voice within me suggested that I check my e-mail. I did. 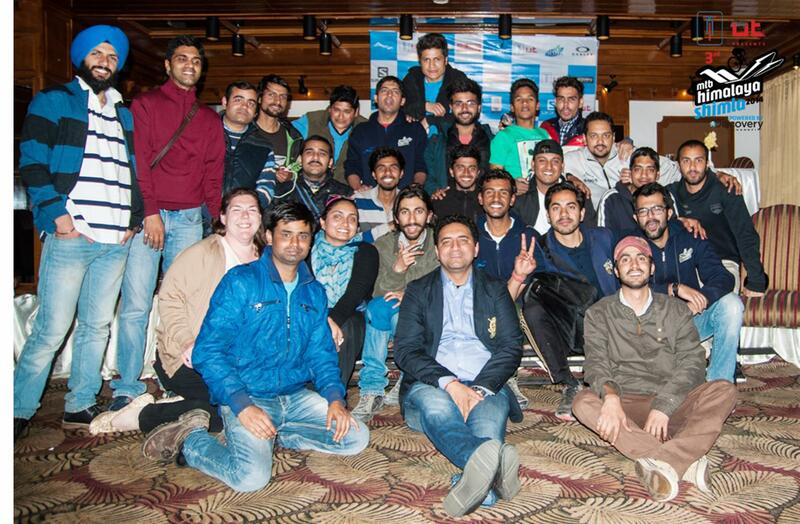 The inbox had a mail from the organizer’s of MTB Shimla 2014. It said that if I wanted to be a part of the event, I needed to show up at Shimla before evening the succeeding day. Delhi to Shimla is a 14 hours journey. How I managed to show up is a story for another day, but I am glad I did. I reached the venue, where briefing presentation for MTB Shimla 2014 was in progress. The room was packed with bikers, volunteers, management-team and the excitement each one brought along with them. The presentation briefed about the plans for the next two days. Route, itinerary, arrangements, doubts, hopes and fears, all were discussed. With a parting suggestion – “On the way, you’ll cross two houses. One of them has a dog that barks at passers- by. Do not stop or attend to him”, the briefing session came to an end. At 11:00pm, I was happy to call it a day. The journey and excitement had worn me out, completely. It was a bright and sunny day, as opposed to what the meteorological department had predicted. The breakfast room was full. Bikers had lined up to fill up their plate and tummy carefully with rationed nutrition, quite unlike me, who believes in demolishing mini mountains of scrambled eggs with great gusto eating well. Almost the zero hour. The cycles were checked, the route-map was confirmed, wishes were conveyed and FB/Twitter status updated (along with selfies and groupies). 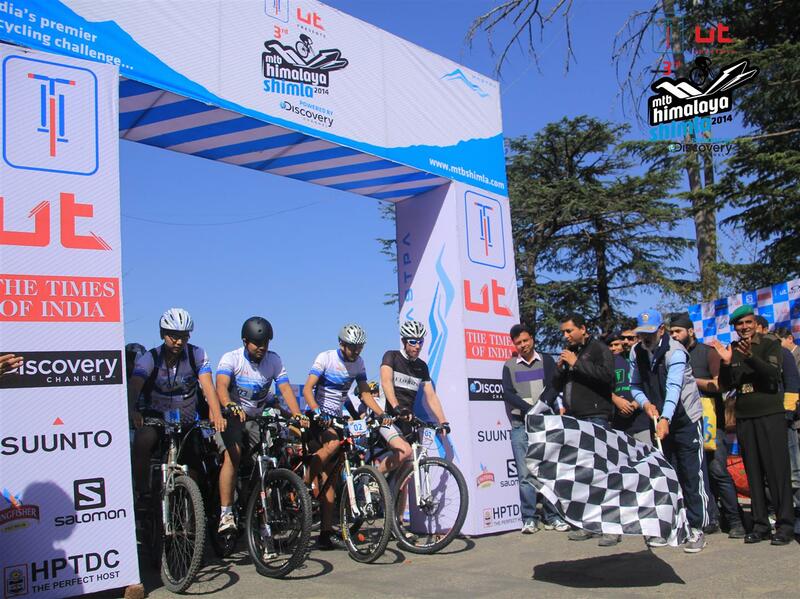 #MTBShimla2014 was the order of the day. The race was flagged off by Honorable Chief of Staff Army Training Command (ARTRAC) Lieutenant General B.S. 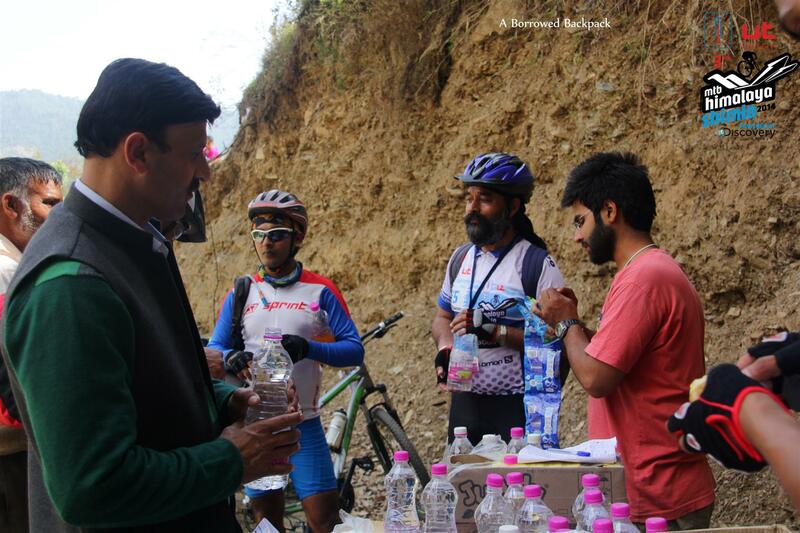 Sachar SM, VSM**.There were total of 65 cyclists participating in the event. What impressed me the most was that some of the participants were from the police department and the Indian Army as well. Mr.Sachar sportingly rode the friendly circuit, the route for which was mapped within the city, before the competitive section began from Sheelgaon, 15 km away from Hotel Holiday Home. The entire route for the day was 58 km, out of which, the friendly section was for 15 kms and the rest 43km was the competitive trail. Day 1 was dedicated to riding from Shimla to Chail, albeit on the off-roading track between the two towns. The entire competitive stretch was almost single-track. As per the plan, there were three‘feed zones’ in the entire stretch. One was at a bifercaton down to Doglapull, which was at a distance of 28 kms from starting point. 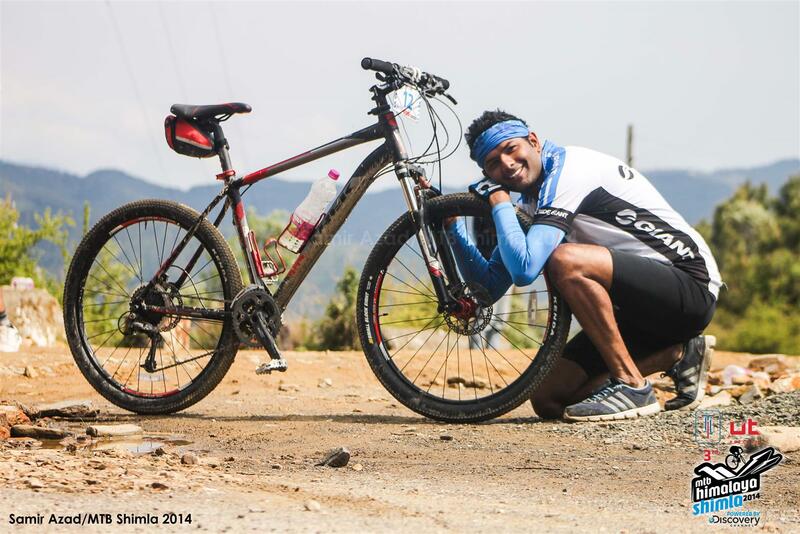 The other one was at Sadhupul, barely 9 kms before the finish-line at Janed Ghat. Third one was about 5 km before the race section ends. Three official photographers (along with bike-marshalls) were carefully posted at various locations to capture the event details with finesse. The event bloggers were facilitated with space in tripper-vehicles to allow mobility. The entire track was an endless scenery. Just as the media-van was about to start from Hotel Holiday Home, unfortunately the news for the first (and thankfully, the only) mishap reached us. Jersey no. 51 had tripped and fallen and had hurt himself in the face. 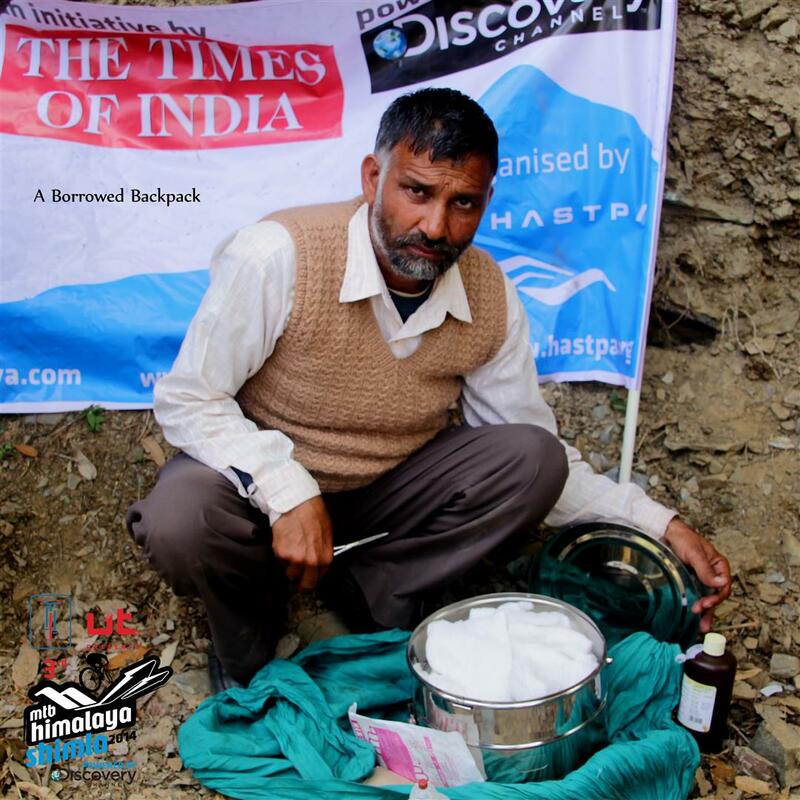 The doctor deployed at the route was informed and he immediately left for the site. He confirmed that though there were injuries, but the case wasn’t fatal. What was worrying was the spell of amnesia because of the fall, and hence, CAT scan was advised. No. He ain’t the doctor. He is his assistant. The feedzones were the points where the cyclists would take 10-15 minutes of break, and immediately speed off to join others in combating the terrain. The entire stretch comprised of 40% uphill and 60% downhill, but in all uniformity, it was one treacherous trail. I have mountain biked enough to know that be it uphill or downhill, neither is easy. Both are different ball-games and need different approaches. The trail, at some places, did remind me of trail from Jalori pass to Banjar market in Kullu. Or the broken tarmac from Langza to Kaza in Spiti valley. At about 1:15pm, we were at feed-zone 1, when it was reported that Jersey No.58 had multiple punctures in his bike, and hence needed a replacement-tyre. He was stationed at (or so we thought) 12 kms from Sheel gaon. Our tripper-vehicle was requested to relay the needful to the biker in question. We started from feed-zone 1 at about 1:30 pm. After 1:30 hours of negotiating the track (or the lack of it), we reached feed-zone 3 at Sadhupul. We could not spot him on the way and deduced that the cyclist-in-question must have given up and hitched-hike a sweep-vehicle. 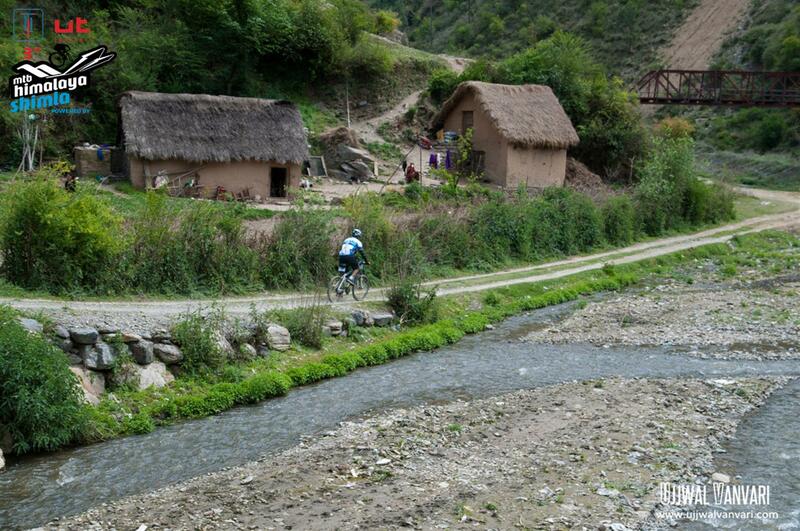 Barely a kilometre from Sadhupul-feed-zone, we came across a biker who looked like he would give up any minute. Thankfully we had stocked up on some refreshments from the feedzone and were able to act as mobile feedzone for the ones who needed it. We handed this bloke the last tetra pack of juice we had and smiled inwardly when he couldn’t stop thanking! He asked if we had water too, but sadly we had run out of it. I felt sorry for him. Actually, one part of me secretly wanted to ‘help’ the participants by letting them hitch-hike the tripper car, together with their respective bikes, for at least 5-6 kilometers. If things were my way, I think this is what I would do. Just as we drove for another 400 meters from there, we spotted our biker-in-quest-of-tyre! He had lugged the cycle on his shoulders and was running. HOW did he manage this far? 32 kms? 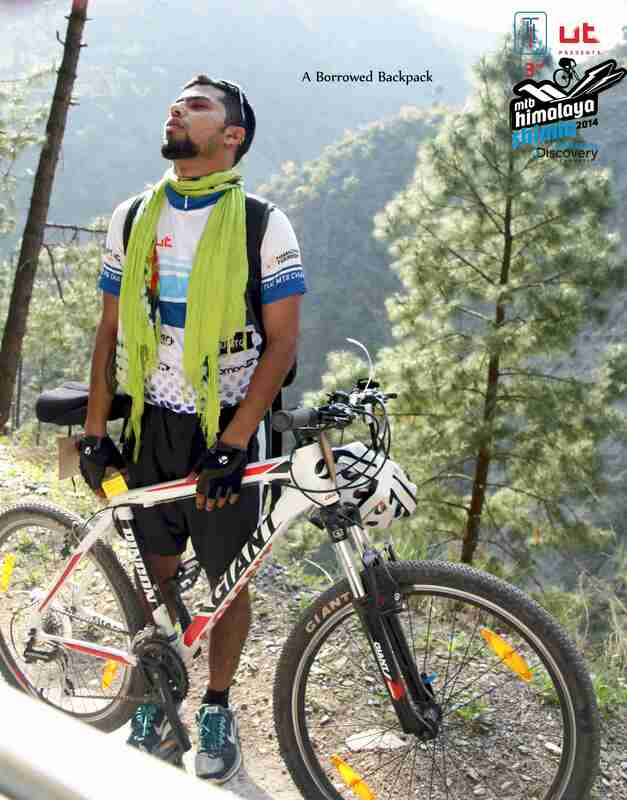 With 12 kms on the rim and the rest, with the cycle on his shoulders! As we neared the finish-line for Day 1 our Maruti Gypsy’s clutch had totally given way, and negotiating the track had become difficult task. Two cool fellow-trippers, Mr. Sandeep Dixit and Mr. Tarun Dagar had enough experience with off-roading and we reached the destination without the need of a sweep vehicle any help. It was almost 04:00pm by then. Time for us to hit the finish-line to capture some stories and memories. At about 5:15 pm, I let go of the tripper-vehicle and installed my camera and tripod at the finish-line. The sun, which was facing the camera was a problem from photography point-of-view. The chatter in the background was interesting,ranging from track details to property rates in Shimla. The finish line is a strange place. While it is ‘home’ to bikers, it also is a work-station for the base-man who takes the effort to whistle every once in a while to signal the tired bikers that they are nearing their destination and should hurry up. It is waiting-point for the loved ones, who know no fatigue and boredom and very carefully take down the metrics for their loved ones, while casually glancing at the others’ who have finished just about at the same time. It also is the catch-up point for the drivers of the sweep-vehicles that go to the track after the finish-time, to lend help to the ones who find it difficult to complete the race for various reasons. By 06:00 pm, some 43 people had finished the race and others, as per the rule, were out of the race-event due to non-completion in the given time-limit. The women’s category, with its 6 participants, had Vamini Sethi as the winner for Day 1. 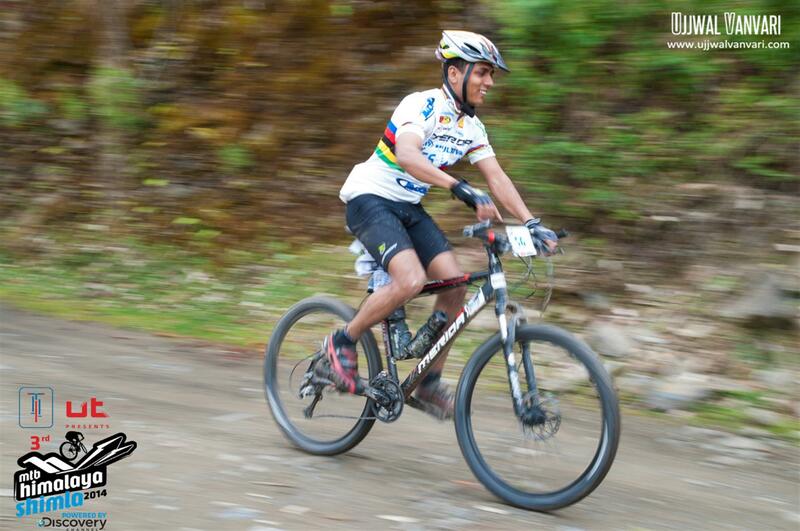 Men’s category had Kiran K. Raju leading the pack, while local emotions lied with DevenderThakur. The race was topped with best-dhaaba-food ever of my life at a non-descript eatery at the janedghat market. The kind of hidden gems that only the local people seem to know of. After the meal, everyone proceeded towards Chail Palace, which was at a distance of 3 kms from JanedGhat market. As I didn’t want to wait for the sweep-vehicle, I hitched hike in a local ambulance going towards the hotel. So did two other people whose spouse were participating in the event. The Palace, a beautiful property, was the halt for that night. The dining-hall was abuzz with stats for the day. At around 9:30pm, I called it a day. It was a beautiful morning that alternated between drizzle and light shower. The breakfast room was resonated with unabated energy that the bikers collectively emancipated. The discussion, the route plan that got altered because of the rain, newer strategies and combative methodologies were being discussed. It seemed to be an important day for Devender Thakur and Kiran Kumar Raju. Kiran was ahead of Devender by 9 minutes, and was leading Day 1. Same was the story with the women’s section. Vamini Sethi was ahead of Alison Clews by 2 minutes and leading the category. The sponsors, UT Bikes, had very generously replaced Jersey no 58’s bike overnight. Gurman Reen had a new bike for Day 2. The race was flagged off at 10:30am and the route back to Shimla was altered a bit so as to prevent accidental slippage etc. The off-roading stretch from competitive section had to be done away with. Day 2, mostly, was on the tarmac. There were two feedzones for Day 2, as the competitive section was reduced due to slippery route. 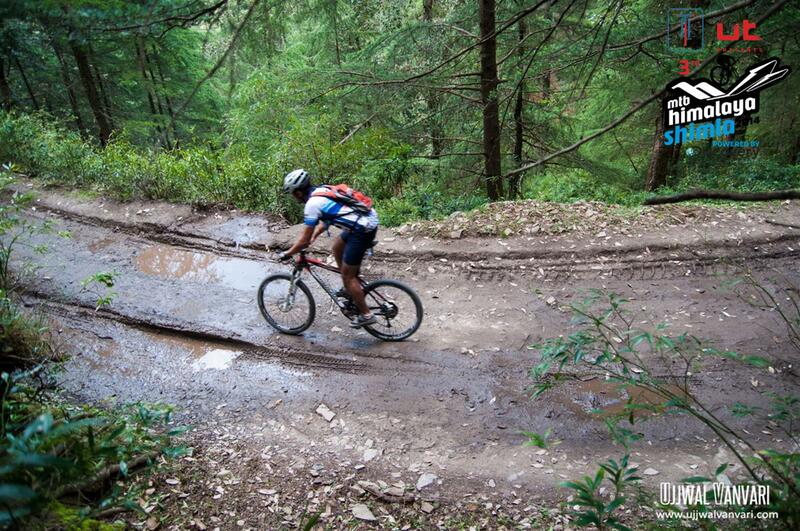 The route back to Shimla was 40Kms of non-competitive section and 15Kms of competitive section. The tarmac section on Day 2 reduced the number of tyre-punctures drastically for obvious reasons. Some of the cyclists from Day 1 did not cycle the second day. The route was slippery, slushy and needed caution. All along. If day 1 was tough in a way, Day 2 was so in another way. Perils, in this case, were a part of the adventure, for sure. By (2pm), the cyclists had started trickling through the finish line for Day 2. The results had done a somersault in the final tally. Men’s category winner(overall) was Devender Thakur and Women’s Category was led by Alison Clews. Devender had finally managed to cover the lag for those 9 minutes from Day 1 and was ahead of Kiran by little over a minute overall. 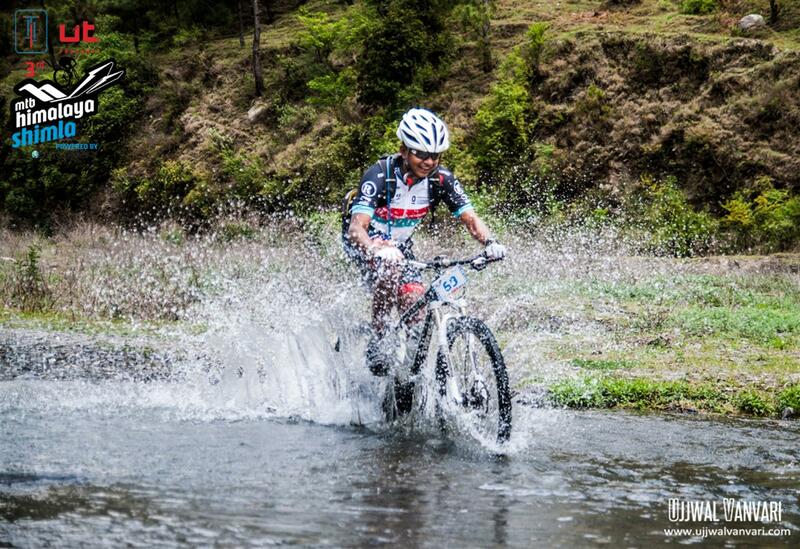 Tough feat, given the weather and the terrain! Surprisingly, women’s category too followed the same pattern. Alison led the Day 2 by 12 minutes and the entire race by 10 minutes ahead of Day 1 Women’s category winner Vamini. Master’s was won by Douglas Smith and Kid’s section, by Shiven. The tripper-vehicle that drove us around, reached Hotel Holiday Home in Shimla at about 5:30 pm. At about 6:00 pm, the final prize-distribution was held, hosted by Mr.Mohit Sood of HASTPA. The prizes were conferred by DC of Shimla,Mr. Dinesh Malhotra. 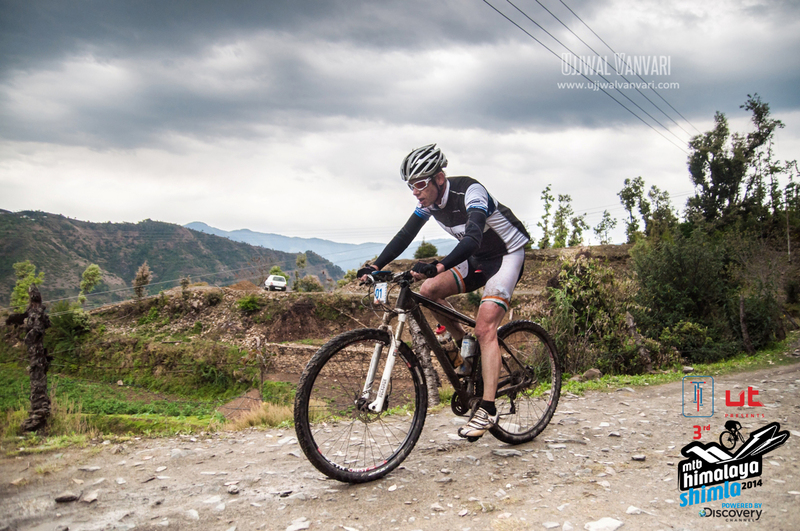 The occasion was rife with many emotional moments, but it was here that I understood that MTB Himayas’ events are not known for the terrain but for the beautiful camaraderie the biker’s share. It was announced that the oldest rider Mr.Harpreet Singh will gift a camera to the youngest rider Gaurish Shyam, on his birthday. Or, that KiranRaju who stood second to DevenderThakur, was collecting contributions to group-gift Devender an equipment that will help him prepare better. The healthy brotherhood is, for sure the hallmark of this event! I surely don’t think that these bikers come back to this terrain. They come back to the pile of beautiful memories they leave behind. 1) Mountain biking is your first love, and your girlfriend/boyfriend, second. 2) You love adventure in good measures. 3) You love meeting other cyclists who are equally driven and passionate. 4) You want to test your will power for physical and mental endurance. 1) You want to see adventure up close without going through the grill yourself. 2) You want to travel while being light on the pocket. 3) Off-roading is what you love. In which case, you MUST participate as a tripper! 4) As a student, you think that an event like this can add value to your curriculum vitae. 5) You want to switch to mountain biking, but would like to see the experience up-close, without participating in the main event, once before you begin. This has been on my wish list to do!! Great!